How many of you woke up this morning and, after scrolling through your Facebook news feed, discovered yet another friend or relative sharing news of a particular illness or diagnosis that they are currently suffering from? Unfortunately, encountering news of illness or suffering among those around seems to be a part of our daily life. Over the past 20 years, my own personal health struggles have motivated me to dig deeper into the relationship between the care and feeding of my body and the level of overall health I could achieve as a result of that care. While I'm thankful for great doctors and modern advances in medicine, I believe there is a lot that I can do to help myself, things that will help keep me out of the doctors office and in a place of feeling and living a life of good health. I never did write a follow-up post on that experience, but I will say that the detox had such significant results, I went through it again a couple of months ago with my husband, hoping that it would help him feel better, too. I know, good times, right?? Sack cloth and ashes sound more appealing?? Are you developing a migraine just thinking about life without chocolate? Trust me, I feel your repulsion. What intrigued me most, after reading the Whole30 book, It Starts With Food, and scouring the Whole30 and Whole9 websites, was the feedback that had come from people like you and me who suffer from many common illnesses such as allergies and asthma to more severe conditions such as MS or cancer. Their testimonies alone were encouragement enough for me to give this detox a go. I cannot encourage you enough to try the Whole30. I'll be the first to say that this program is NOT easy by any means, especially for those who may not have a great fondness for veggies, since veggies make up the bulk of your daily diet. The program was much easier for me than for my husband, Steve, but by the end of the 30 days, he had nearly forgotten about his former gravy laden, sugar coated life and was actually enjoying everything from brussels sprouts and parsnips to squash and kale! Week 1: This is the time when you've got to be hard-headed and determined to stick with the program, because this is the week when you feel the worst. Your mind and body are screaming at you to go back to your old ways of eating. Carb deprivation is the worst part of the Whole30. Your body just won't stop begging your mind for a muffin or piece of chocolate - they are literally at war. As a result, you will probably feel very tired and a wee bit crabby this week. I don't recommend any vigorous exercise during the first week, or even through most of week 2. Your body is going through a healing process, and you need to take your activities as slow as possible. Week 2: By now, your mind/body are starting to accept this new way of eating, but you may still be craving something more satisfying than a salad to eat. This is when you have to dig in to the Whole30 recipe index, or seek out some really yummy Whole30 approved recipes online (Pinterest is very helpful). By the end of week 2, Steve and I both noticed that we were sleeping more soundly and waking up feeling more rested. It was also during this week that my husband said he couldn't possibly even look at another egg for breakfast. Well, some may call this cheating, but I broke out my muffin recipe, which includes only Whole30 approved ingredients and that helped both of us get through the next couple of weeks without cheating. 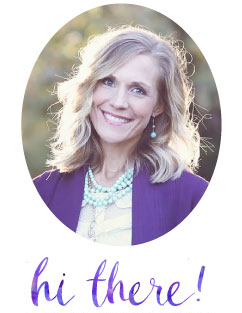 Week 3: At this point, you really begin to feel the most common, yet significant benefits of the program, which include increased energy that remains steady throughout the course of the day, greater mental focus and concentration, brighter skin and eyes, balanced emotions/moods and fewer cravings for processed, sugary, flour-based foods. For me personally, this was the time when my digestive issues and achy joints and back pain had significantly diminished. I was nearly pain-free!! For Steve, he slept more soundly, completely stopped snoring, woke up energized and had greater stamina throughout the work day and during his workouts. 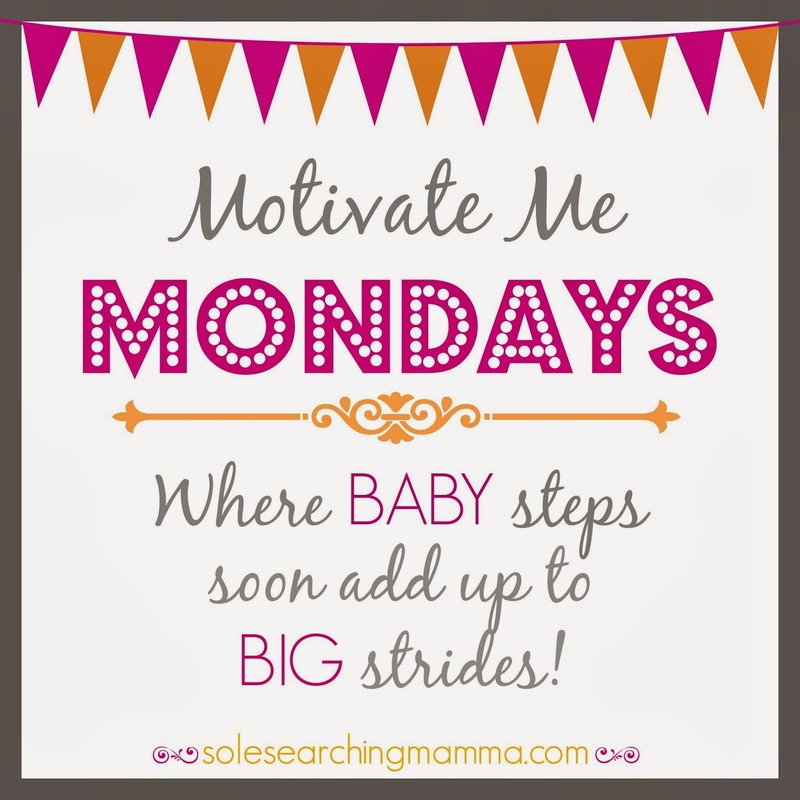 Week 4: The home stretch! While I don't think Steve or I ever fully lost our affection for a nice glass of wine or sweet piece of chocolate, it was during this week that we realized our attachment to certain foods really had diminished. We no longer craved our favorite comfort foods, and our palate's had shifted into a preference for fresher, whole foods. It's a great feeling! In addition, every positive benefit we enjoyed during week 3, was only increased during week 4. So, what do you do at the end of 30 days?? Well, a lot of folks roll right into the Paleo lifestyle and choose to follow those dietary guidelines for life. Some go back to the old habits of eating, and loose the benefits of the Whole30 program almost instantly (yeah, I don't really recommend going out for a burger, fries and ice-cream as a way of celebrating completing the program. Your tummy will not love you for that!). The results of the reintroduction phase for Steve was that he could easily tolerate dairy, but sugar and gluten-based grains made him feel tired and sluggish, and he returned to restless sleep patterns and snoring. Rice, potatoes, quinoa and gluten free oats and legumes seem to have less of a negative effect on him. 1. The Whole 30 is by far the most supportive, well-researched, sensible, care-fully lined out and guided approach to clean eating that I've found so far. Nothing wacky here, just clean, whole foods in perfect proportion. 2. If you have been searching for a healthy way to eliminate or at least reduce refined carbohydrate and sugar cravings and increase your cravings for healthier foods such as fruits and veggies, you will find success here. Go shopping (but take the Whole30 list with you). Stock up on the items suggested on the list of acceptable foods, especially veggies, and clean out any tempting foods from your fridge or pantry. Your neighbors and/or the local food bank will thank you! Make a folder of recipes and menu ideas. I found the program to be the most strenuous when I had to throw together a last minute meal. While I myself will eat pretty much anything meat and veggies in the simplest form, that's not the case for my meat and taters hubby. Cooking tasty, satisfying food takes time and planning, so be prepared for that. Remember, if you cheat, you start over. Did you know it takes around 30 days to completely flush gluten out of your system? So, if you dive into a donut on day 15, you begin again at day 1, not day 16. If you're going for healing from an ailment, disease or illness, the success of this program really does depend on consistency. If you're simply trying to achieve weight-loss, then okay, a donut won't blow your whole game, but mentally, it might set you back a few strides when it comes to your attachment to less healthy foods. Find a partner. Going at this alone isn't impossible, I was able to do it the first time, but it really is much easier if you have a buddy at your side to help you through the difficult days and to share your success with as well. Steve and I both said we could not have made it through successfully without each other! 4. The positive results, if you follow the program with precision, are exactly as the founders of the Whole30 enthusiastically express them to be: reduced inflammation in the body, increased energy and stamina, brighter even glowing skin, greater mental focus, balanced moods/emotions, decrease in digestive issues (no bloating or gassiness after eating), regular and frequent bowel movements (this is a GOOD thing! ), and for those who suffer joint/muscle or headache pain, relief in those areas as well. 5. Food should always leave us feeling nourished and energized. I didn't realize, until taking part in this program, that before making the Whole30 changes to my diet, even though I ate very healthy before, I often felt tired after snacks and meals. The Whole30 foods left me feeling energized and satisfied. If your idea of veggies is canned corn, peas and beans, this program will really stretch you to try a variety of veggies prepared in different ways. 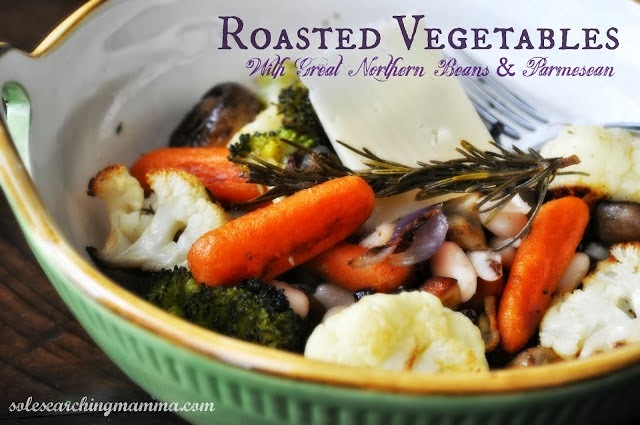 Roasting veggies quickly became my husband's favorite way to eat them. This is my go-to recipe (minus the white beans and parm cheese during the Whole30). Finishing the veggies with balsamic vinegar and crumbled bacon makes them extra yummy! 1. One of the reasons it has taken me so long to put this post together is because I wanted to do my research first. Programs like the Whole30, which lead into the Paleo diet, are thought to be the best way of eating according to those who follow their guidelines. I, however, don't believe that there is one best way for the entire population to eat. Every person is different from blood-type to genetic make-up to ethnicity, and ALL of those factors play a part of which foods will best fuel and nourish our bodies. Beware of any "be-all, end-all" diet. 2. In It Starts With Food, the authors go into significant detail as to why grass-fed organic meats, especially beef, are assimilated by our bodies differently (in a better, healthier way) than commercial beef. Therefore, they only promote these types of meat for consumption on the diet. The problem with that is that most of us cannot afford, or do not have access to organic, grass-fed meats in our local grocer, and shopping for them online or in specialty stores is expensive - especially if you're feeding a family. 3. The elimination of entire food groups (particularly all grains), and having those food groups demonized by a particular dietary philosophy doesn't make sense to me. I think it's important to be choosy about the grains we eat and the way that we prepare them, but to completely eliminate them from our diet may not be wise. The same is true for beans and legumes (which aren't allowed on the Whole30), which can be a very healthy, economical part of anyone's diet. If your body simply cannot tolerate grains or legumes, then you certainly have a case for removing them from your diet, but if your body accepts them without negative consequence (fatigue, bloating, allergies, aches etc. ), they why not enjoy them in their purest form? 4. With any zero-grain diet, I think it's easy for a heavy emphasis and satiation to be placed on protein. The danger (especially for men) is that the bulk of the diet too easily becomes favorable to meat, protein shakes or eggs instead of a variety of veggies, fruits. While this make make a person appear to be healthy because it aids in weight loss, it most likely won't translate positively as to what's happening interiorly, specifically with the heart and other vital organs. 5. This program is difficult (and expensive if you eat the meat, fish and eggs according to their standards) to sustain over a long period of time, especially if you have a large family. That being said, I think there are aspects of the program that can easily be maintained and enjoyed for a life time. Where has all of this left our family? Well, for one thing, it's cemented the importance of our already active pursuit for consuming a whole food diet. Secondly, I have found that our pantry and fridge is less full of packaged foods, such as crackers and cereal (yes, even the healthy kind), and more full of nuts, nut butters, sprouted grains for baking, and a greater variety of fruits and veggies. Do we eat perfectly? Nope. Life is full of reasons to celebrate, and food is an important part of fanily life, culture, travel, fellowship and fun! We will always enjoy birthday cake, bake pies, devour pizza and fry up some chicken on occasion (don't forget the wine and beer! ), but when clean, whole food eating makes up 80-90% of our diet, we all feel better. And even more importantly, we hope that the choices we make now will mean that our bodies will be stronger and healthier in the future! 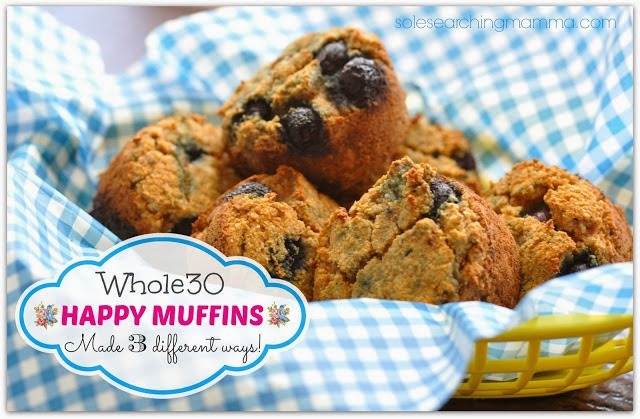 Have you taken part in the Whole30 program? Please share your thoughts/experiences with us! I'm pretty sure that I would never make it past about day 5 or 6 without having to start over. I think that part of the problem is I don't want to stop working out for a week+ and yet I know from other attempts to cut down on carbs that I can't workout the way I like to without them. I ha the same struggle the first time I went through it, even though I felt more energized during the day, I just couldn't get through my long runs without carbs. 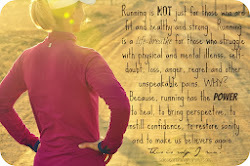 That's one reason why I went back to eating rice and quinoa - just so I could keep running! I have a lot of problems and really want to start this... I already am off most process foods and eat very little grains, but I will miss the wine and the cheese.. I am thinking this might be a good thing for lent!! I think I would need my husbands support on this one! I am so appreciating all your Whole30 - I downloaded the book to my Kindle and plan to start soon! Thanks for the tips (especially your post about needed the muffins - I can see that happening with me too! ) My question - did you give up coffee? Debbie, I did not give up coffee! I have my limitations! But, I did learn to love to drink it black (buying flavored coffee helps). Good luck with the Whole30. I think it's easier if there is someone willing to do it with you. Do you have a buddy who can make the journey with you? Let me know how it goes! Hi Susan - I am hoping to get hubby on board but at least to start off I'm going it alone! I appreciate you sharing your experiences - I'll keep you posted! Hi Susan! I just stumbled upon your blog linked from The Rhodes Log today and am so glad! I've already read a few posts and can't wait to read more. My husband and I are on day 25 of our whole30 (modified with lots of fruit, and no grass fed meat for us...too pricy) and I have never felt better! I'm 19 weeks pregnant with our first, and I honestly have never felt as good as I do right now. I have a feeling it's from cutting out so many processed sugars and who knows what else that has made me feel yucky in time past. But having energy all day with no afternoon lull is definitely a huge perk, and makes me want to eat this way more often when all is said and done. I'm very interested in reintroducing foods and can't wait to see what the outcome is. Thank you for sharing your stories (and recipes) with us!